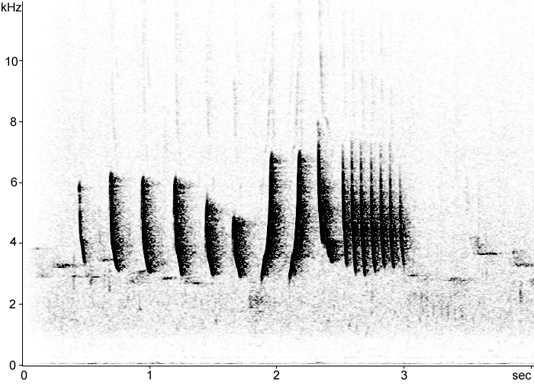 Territorial song from holm oak woodland. 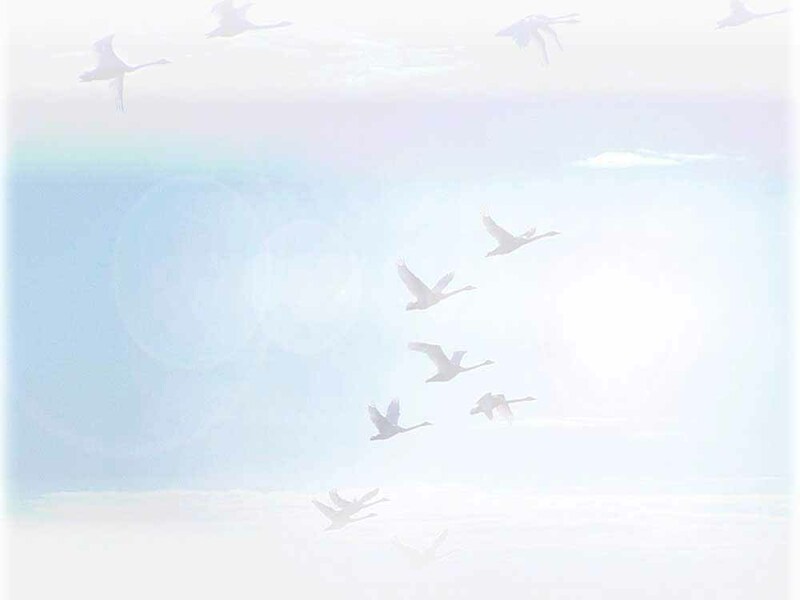 Note this individual shows little or no slurring of elements compared with birds below. 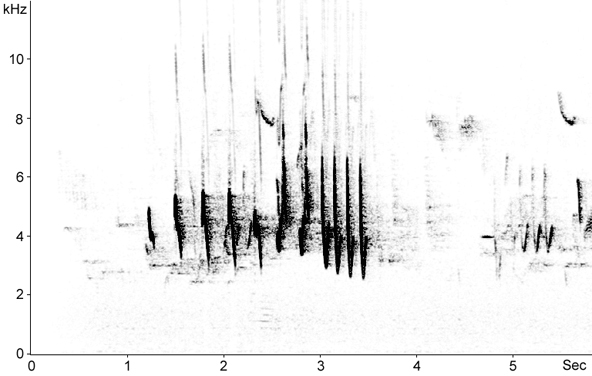 Part of a 10 minute recording where bird sang from four different regular song perches. Downslurred calls at 3.3-5.4 kHz. 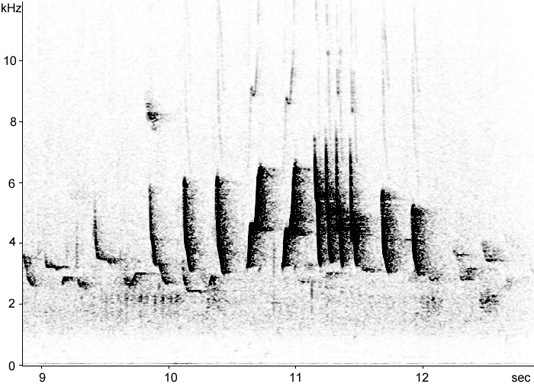 Territorial song from cork oak woodland. 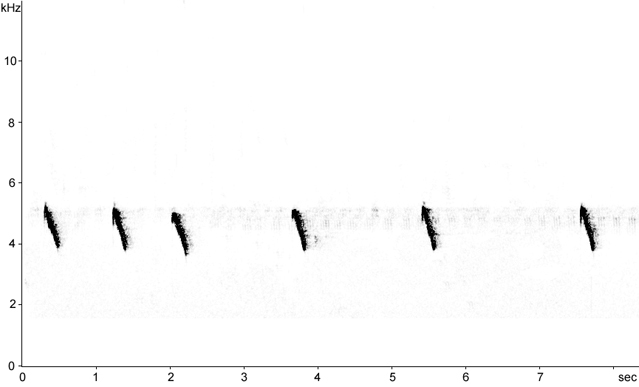 Note the slower delivery from this bird compared to previous recordings below. Territorial song from cork oak/holm oak woodland. 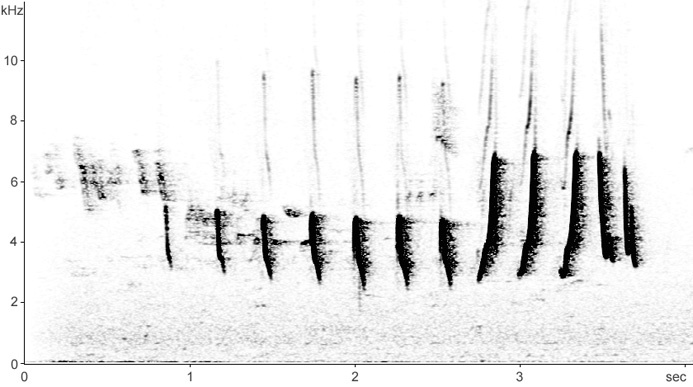 This bird was singing with continual variation between successive strophes. Note the rapid delivery with more elements than is typical in the first strophe. Territorial song from cork oak/holm oak woodland. 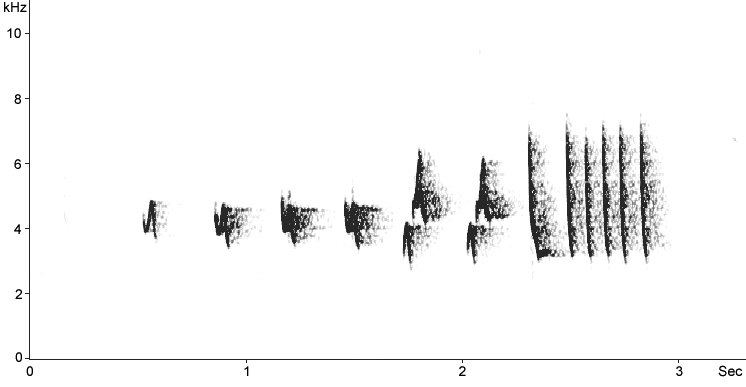 This bird was singing with continual variation between successive strophes. Call from a bird feeding very low in undergrowth of Cork Oak slope. Territorial song from cork oak/holm oak woodland. This strophe composed of seven notes rhythmically decending in pitch, followed by faster phrase of four to five higher notes.